Family law issues can be stressful and emotionally draining. If you are going through a divorce or facing any other family law dispute, you need to consult an experienced Fort Lauderdale family law lawyer who can protect your rights. At the Law Offices of Carmen G. Soto, we are committed to helping Broward County spouses and parents resolve their legal matters in an efficient and ethical manner. With over 16 years of experience, Carmen Soto understands how to navigate even the most complex cases. Our staff speaks Spanish for your convenience as needed, and we also offer payment plans that take your financial circumstances into account. Some of the family law issues that may arise for Florida residents include divorce, timesharing (child custody), child support, alimony, property division, stepparent adoption, and paternity. In order to file for a divorce in Florida, either spouse must have lived in the state for at least six months prior to filing. Florida is a purely no-fault divorce state, which means that you do not need to allege wrongdoing on the part of your spouse in order to get a divorce. Instead, most Florida divorces are based on the fact that the spouses have “irreconcilable differences” that have led to the breakdown of the marriage beyond the point of repair. A divorce frequently raises questions about many other aspects of the couple’s situation, such as issues regarding children. 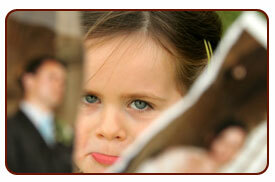 A family law attorney in the Fort Lauderdale area can help you safeguard your child’s future. The key concepts here are parental responsibility and timesharing. Parental responsibility refers to who has the right to make decisions about major issues in a child’s life, such as the child’s education, religion, and non-emergency medical care. Timesharing is the schedule for when the child spends time with each parent. Under Florida law, all decisions about timesharing and parental responsibility are made based on what is in the best interest of the child. Under this standard, courts have broad discretion to consider any factor that may be relevant to the child’s health, safety, and overall development. Examples of such factors may include but are not limited to the child’s age, the child’s preferences, the child’s relationship with each parent, the child’s current living situation, and any history of domestic violence. Another challenging area in which a Fort Lauderdale family law attorney may be useful is alimony. Alimony is money paid from one spouse to the other to maintain their marital lifestyle for a specific period of time. There are a number of different types of alimony in Florida, and the type that you may be entitled to receive will depend on a number of factors, the most important being the length of the marriage. The longer that a couple has been married, the more likely it is that one spouse will receive alimony. The court has broad discretion to consider a variety of factors when making an alimony determination. Some factors that a court may examine include the duration of the marriage, the standard of living established during the marriage, the age of each spouse, the physical and emotional health of each spouse, the earning ability of each spouse, and the contribution of each spouse to the marriage – both monetary and non-monetary. At the Law Offices of Carmen G. Soto, we want to make the legal process during a divorce as seamless as possible for our clients, which is why we offer flexible payment plans tailored to each client's financial situation. We also can save you travel costs, based on our proximity to the Broward County courthouse. We represent people throughout Fort Lauderdale, Pembroke Pines, Hollywood, Miramar, Coral Springs, Pompano Beach, Davie, Plantation, Sunrise, Lauderhill, Weston, Tamarac, Margate, Hallandale Beach, Lauderdale Lakes, and other cities in Broward County. To schedule an initial consultation, call us at 954-523-0703 or contact us online.